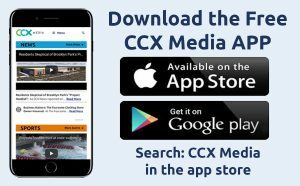 On the May 7, 2018 edition of CCX Media’s Sports Jam, highlights from lacrosse, baseball, softball and tennis as teams catch up on games and matches from April weather postponements. In this week’s Sports Jam Spotlight Jay Wilcox profiles Maple Grove lacrosse and hockey player Emily Herdine who has helped the Crimson girls’ lacrosse team to an unbeaten start to the season. Also John Jacobson talks with four local Athena Award winners- Natalie DenHartog, Meghan DuBois, Meredith Haakenson and Olivia Heckt. Plus our Plays of the Week segment.